#300. Barbizon Scene. 14 x 17.5, oil on board. "Gilbert Munger" faintly at the lower left.. Offered by Hill Auction Gallery of Sunrise Florida as lot 0219A in their 26 September 2018 Live Auction, estimated at $500 to $800 plus a 28% buyer's premium. 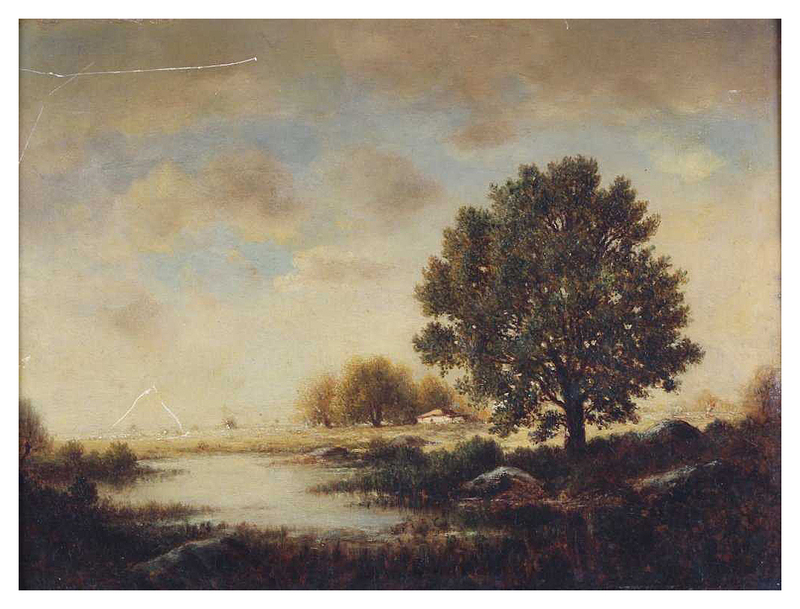 The catalog entry titles the painting American River Scene and characterizes it as American. 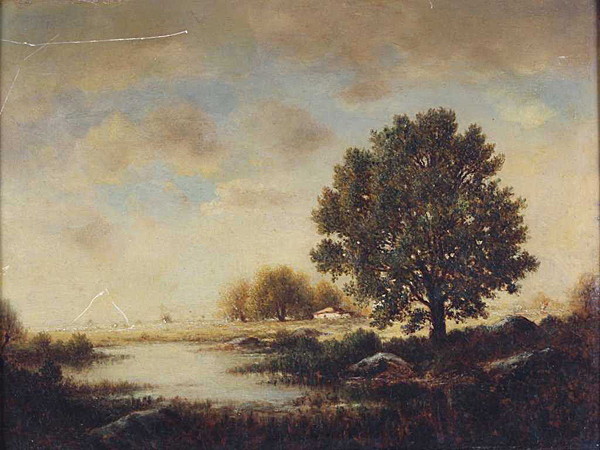 But the similarity with other paintings of France done by Munger in the Barbizon style tells us that it belongs in that category. The lines on the surface are reported to be scratches, not cracks in the panel. Subsequently available from Hans Michaels Fine Art of Minneapolis, cleaned with a restored frame. #299 depicts the same scene. The image is from the Hill Auction Gallery web page.